Chester County Homes Going Green? Here in Chester County and the Main Line area I’m reminded of the “trend” towards “going green” in home design and new construction. Right after the financial crises, it’s one of the hottest real estate topics of our time. The US Green Building Council has developed the Leeds Guidelines for homes and construction planning on “going green”. Public Buildings and Municipal Buildings are trending to going Green. Several local Builders are picking up the trend as well. Kermit The Frog sang the song, “It’s Not Easy Being Green” in another context. But as we look around our local landscape, we’re curious about how easy it is to find environmentally friendly Green Home Design here in Chester County and the Philadelphia Main Line Area. 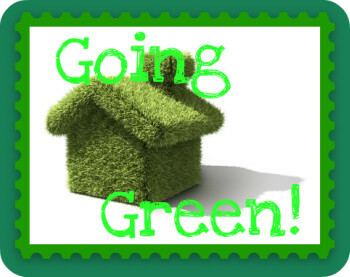 It’s definitely getting easier to be environmentally conscious with new home construction. Many builders advertise that they follow green building design and construction. Be sure to ask. How Can Chester County Pa Home Owners Go Green? Short of living in a totally Green Home with Solar Panels and Wind Turbines in our back yards, there are some everyday things we can do to be healthier and support the environment by going Green, even in older homes. The National Geographic For Green Homes suggests that we choose our cleaning supplies more carefully. Avoid cleaning supplies that say, “danger” “caution” or “poison” and always store cleaning supplies in their original containers. Many cleaning supplies actually pollute the air inside our homes. So read the labels and look for those products that do not have Ammonia or Chlorine in them so that our homes will be healthier for our families and pets. And Smart Home Energy Strips can save on energy bills by saving on “phantom” energy drains from TV’s and Appliances that have already been turned off, some reports are up to 8% savings a year for our Chester Pa homes. Enter your zip code at Green Home and find your Local Harvest or recycling locations here in Chester County. It was pleasant surprise to find even more Local Harvest Farms in my general area that I plan to support. Tredyffrin Township here in Chester County has earned it’s Green Township Status through citizen participation and has it’s own Environmental Advisory Council. Hopefully, Kermit might find it easier being green in today’s world. And if we look around our neighborhoods, we might also find it easier to live green and be environmentally friendly too. It doesn’t hurt that going green can also save us money as well as help protect our environment. What are your tips for green living here in Chester County Pa and the Philadelphia Main Line area? Contact or Call 610-889-5509, Judy Peterson Realtor Prudential Fox and Roach Realtors with ALL of your real estate questions and concerns. This entry was posted on Friday, January 23rd, 2009 at 9:43 pm	and is filed under A Realtors Life, Chester County, Market Trends. You can follow any responses to this entry through the RSS 2.0 feed. You can leave a response, or trackback from your own site.